The National Surgical Quality Improvement Program (NSQIP) has been active in NSW for three years under the sponsorship of the Agency for Clinical Innovation (ACI) Surgical Services Taskforce. NSQIP is a risk adjusted, internationally benchmarked and peer-controlled program that measures and improves the quality of surgical care. The program allows hospitals to collect and compare 30-day patient outcomes following surgery and to benchmark performance with local and international peer facilities. Better information leads to improved care, improved outcomes for patients and reduced cost of care. In my opinion, this will increasingly form the basis for quality improvement in surgery in NSW. NSQIP launched in NSW in 2015 with funding support from the ACI. Four hospitals were chosen to participate in the pilot for different reasons – Westmead Hospital was chosen as a large metropolitan teaching hospital, Nepean Hospital as a mid-size teaching hospital and Port Macquarie and Coffs Harbour hospitals as regional hospitals. Surgical Champions in each hospital provided leadership of NSQIP and Surgical Clinical Reviewers were employed to collect data and implement local improvement initiatives. Due to the success of the pilot, the program entered into a second phase in 2017-18, with Prince of Wales Hospital, the Sydney Children’s Hospital, The Children’s Hospital at Westmead and Gosford Hospital joining. It has become an important priority to continue to develop the program at a state level. Initially, the four pilot sites focused quality improvement efforts on reducing the occurrence of urinary tract infections (UTI) and surgical site infections (SSIs). Since the introduction of the program, the occurrence of UTI has decreased in participating hospitals. Nepean Hospital has developed a UTI reduction program which is currently in the final stages of evaluation. Reduction of UTI following general and vascular surgical procedures is a priority initiative for Westmead Hospital. SSIs in the pilot hospitals has decreased as a result of NSQIP enabled translations of evidence-based best practice. Port Macquarie and Coffs Harbour hospitals have taken a district-wide approach to quality improvement initiatives choosing to focus on the development and implementation of multifaceted care bundles (these are sets of standardised, evidence based practices to reduce SSIs). Westmead Hospital is focusing on improving SSIs following gastrointestinal surgery. The pilot hospitals have also identified variation in clinical practice within different surgical areas through newly released NSQIP data. As a result, participating hospitals have endeavoured to design appropriate care bundles locally which include relevant policy and application of guidelines in line with best practice guidelines. NSQIP Surgical Champions, Surgical Clinical Reviewers and representatives from the ACI participate in a Collaborative to promote knowledge sharing, mentorship and networking. The group meets regularly, sharing their experiences and quality improvement projects between sites. Participants of the Collaborative are continuing to embed targeted change initiatives to improve patient outcomes and care quality of their surgical services. As a result of patient data analysed through NSQIP, there have been many clear benefits realised to date resulting in safer care for NSW surgical patients. The program will expand to more hospitals in NSW over the coming years. The ACI, in partnership with the NSW NSQIP Collaborative, will continue to support current NSQIP sites to embed the program into clinical practice, and improve care quality and outcomes. Ultimately, the plan is to expand NSQIP up to 22 hospitals which collectively perform the majority of all surgery in the public sector in NSW. The results of quality improvement initiatives to date demonstrates the clear benefits of program participation for patients, hospitals and clinicians forming a strong foundation for excellence in surgical care in NSW. This is an important and worthwhile program and I’m excited to see NSQIP continue to thrive in years to come! Further details on the development and implementation of NSQIP program in NSW can be found on the NSQIP page of the ACI website. Healthcare is seeing an explosion of new data. Many of our clinical activities can now be captured through the use of medical equipment and the standardisation of clinical processes and outcome measures. Increasingly, this clinical information is collected as part of the process of delivering care and at key times following healthcare interventions of discharge from acute care settings. Recent investments will enable us to further reduce the burden that data collection poses. There is now increasing interest in making clinical registries virtual data systems where the data is collected for all patients in an integrated way and distributed amongst the relevant registries according to their specific minimum dataset needs. Various systems are also exploring how to capture from patients information required during clinical encounters before the actual visits and at key times following treatment. Ultimately, collecting, managing and analysing data has a cost. Recent years have seen the emergence of new ways to use healthcare data for the purpose of assessment of clinical practice and the implementation of quality improvement programs. There is increasing realisation that the data we have is underused and does not fully support clinical decisions and reflexive practice. We therefore need to adopt programs that better enable clinicians to make good use of the data so that the cost of capturing this clinical information is justified. If the right quality improvement programs are put in place to act on the provided information, it may be possible to offset the cost of data collection. 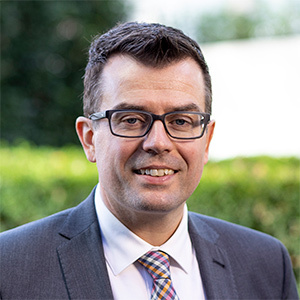 In this edition of Clinician Connect, Associate Professor Richardson describes the participation of New South Wales in the NSQIP program. This program supports standardised data collection for surgical patients, rigorous benchmarking with a broad range of hospitals in the United States and Canada, and guides quality improvement efforts. As such, this system is an integrated model where the data collected serve the purpose of comparing performance and reflecting back the results to clinicians locally. It harnesses the power of the numbers of clinicians participating internationally to channel local efforts towards higher quality care. The 2018 Aboriginal Chronic Conditions Network (ACCN) conference, held on 8 August, brought together 210 people (and more than 216 people livestreaming the event) to showcase innovative approaches to addressing the social determinants of health in the clinical setting. The ACCN Co-Chairs, Bob Davis and Kim Whiteley, provided an opening address that framed the day, connecting it to culture and lived experience. The Co-Chairs highlighted the important role health can play in empowering Aboriginal communities to drive innovation to improve health service design and delivery. The launch of the Our Mob Aboriginal Pain Resources, developed by the ACI Pain Management Network in partnership with local Aboriginal communities, was a powerful illustration of the role health can play in driving Aboriginal-led change by using respectful engagement and collaborative relationships. The keynote presentations by Janine Mohamed and Professor Paul Torzillo focused on the themes of racism and housing and set the tone for 16 presentations across concurrent sessions that shared innovations, successes and the challenges that face NSW Health and the Aboriginal Community Controlled Sector in addressing the social determinants of health. The Djaadjawan Dancers provided a cultural exchange including dance and a workshop where attendees could have a safe place to yarn and participate in weaving a canoe. An evaluation has captured the overwhelming positive feedback and outlined opportunities, including possible themes, to strengthen next year’s ACCN conference. ACCN Network Executive Committee with ACI representatives. Photo: ACI. After almost 50 years of service within the NSW public health system, Robyn Speerin retired in September. Robyn was the ACI Musculoskeletal Network Manager for nine years and in that time she led and supported the co-design, implementation and evaluation of key projects including the Osteoarthritis Chronic Care Program and the Osteoporotic Refracture Prevention Program. These programs have been progressively implemented across NSW as LHDs have increasingly recognised the value in delivering improved patient outcomes. Robyn also pioneered the documentation of a paediatric rheumatology model of care which is being implemented across the Sydney Children’s Hospital Network, as well as the management of people with acute lower back pain model of care. In her time at ACI Robyn has been a supportive and inspiring manager. She leaves a significant legacy for the people of NSW and a great team that will continue to carry on this work. We wish her all the best in retirement and know she is looking forward to spending lots of time with her grandchildren, developing her much loved garden and heading off on travel adventures. In September we also said farewell to State Spinal Cord Injury Service Network Manager, Frances Monypenny. For more than six years Frances has been instrumental in supporting and enabling the effective delivery of statewide services that are delivered on a supra LHD basis to people living with spinal cord injury and ensuring that these services continuously improve and grow. 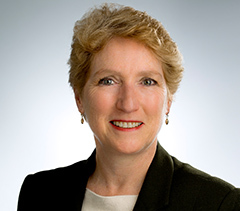 She has been a tireless and tenacious advocate for people living with spinal cord injury and has overseen the development of resources and programs with the consumer and their experience of care always in mind. Some of these resources include: The Pressure Injury Toolkit, the Spinal Seating Professional Development Program and Spinal Cord Injury and Pain resources. Frances has contributed to the ACI team in many ways and has been a big support to fellow staff members. She has done a great job and should be proud of her contributions. We will miss Frances but we wish her well for the future. The ACI is in the process of developing its new strategic plan for 2019-2021. As part of this work, market research firm EY Sweeney was commissioned to survey key stakeholders as part of a multi-stage approach to the development of the ACI Strategic Plan. The survey was distributed to 976 stakeholders who have worked on ACI projects over the past three years. This included staff from the Ministry of Health, Pillars and non-government organisations, as well as primary health contacts identified by ACI’s network, institute and taskforce managers. Aboriginal leaders identified by the Aboriginal Health Chronic Care team were also consulted. There was a 35.1% response rate to the survey. 60% of respondents reported that the ACI was very valuable to the NSW health system and 27% said the ACI was moderately valuable. When asked which ACI functions were of a high value, providing information and resources to support improvement (69%), supporting the development of clinical innovation (67%) and supporting LHDs with their improvement needs (66%) were the top responses. 20% said the main clinical health challenge that the ACI should address is clinical variation (i.e. lack of consistency of healthcare between clinics, hospitals and other providers). 23% said the main healthcare system challenge that the ACI should tackle was the integration and coordination of different healthcare systems (i.e. primary care), followed by data consistency and connectivity (for example, integration of EMR) (16%). This evaluation in conjunction with evidence gathered from the other stages of the strategic planning process was used to inform the ACI Executive leadership workshop held on 18 September which aimed to define the strategic direction of the ACI. The draft Strategic Plan will be presented to the ACI Board in December 2018. The ACI Audit and Improvement team has continued its work on the Leading Better Value Care (LBVC) initiatives while expanding to support other ACI projects to use audit and feedback to achieve improvement across various clinical areas. Since October 2017 the team has audited more than 4000 patient files for LBVC, including for the chronic obstructive pulmonary disease, chronic heart failure and diabetes initiatives. The audits have provided a rich data source to inform local improvement initiatives, statewide processes and initiatives from the clinical networks. The team’s role now includes identifying opportunities for re-audit and capability development in the system, specifically around continuous quality improvement for LBVC Tranche 1 initiatives. The ACI will continue to support sites with the collection and monitoring of local data to identify quality initiative priorities and impacts. As sites and clinicians become more familiar with this process, it is hoped that continuous quality improvement culture is achieved across the state. The team has learned a great deal from the successes and challenges of Tranche 1 and has built this into its approach for Tranche 2. The refined approach includes increased engagement and partnership with LHDs and plans to work more closely with the clinical networks, implementation teams, the Centre for Healthcare Redesign and evaluation teams to provide a support framework that moves across the entire audit, feedback and improvement process. Three new videos showcase successful patient stories from the pilot phase of the Vocational Intervention Project (VIP). The videos were developed by the Brain Injury Rehabilitation Network and focus on three clients – Antony, Phillip and Julian – who, with the help of the VIP, achieved employment following a traumatic brain injury. The VIP is delivered by vocational rehabilitation providers in partnership with the NSW Brain Injury Rehabilitation Program (BIRP) teams. Through the program and with the support of clinicians, vocational providers and employers, clients are supported to either return to their previous employment or explore new work options. These films capture the essence of the health-employment interface and the benefits of participating in employment to the client’s health, life satisfaction and family unit. The Brain Injury Rehabilitation Network would like to thank the clients, their clinicians, vocational providers and employers for contributing their experiences and time to this piece of work. icare: Insurance and Care NSW contributed funding to this project and the Media Unit of the Mid North Coast Local Health District provided film editing services. Watch Antony, Phillip and Julian’s success stories on the VIP webpage. ACI staff recently volunteered at the Bstreetsmart events, held at Qudos Bank Arena, Sydney Olympic Park from 28-30 August. Bstreetsmart is a road safety program designed for students in years 10-12 across Australia. Started by two Westmead nurses who first presented to 450 students 13 years ago, the event has grown enormously. This year 24,000 students attended over the three days. There is evidence that the program is extremely successful, with the fatality rate in this age group dropping each year from when the event first started. The final day is live streamed around Australia to ensure all schools nationally can enjoy the Bstreetsmart experience. At the event students watched a live re-enactment of a crash scenario in real time which included police, ambulance, fire and rescue and six actors. The scene was made as real as possible with fake blood and special effects makeup to ensure the students see the full impact of a crash. Dr Ken Harrison (Westmead and Careflight) narrated the scenario to ensure the students understand what they are seeing and experiencing. The students then hear from speakers about brain injuries. At the lunch break students were encouraged to visit the 22 interactive displays around the arena. Attendees also heard presentations about spinal injuries and from Transport for NSW. A family impact speaker who lost their child in a crash also presented at the event. ACI helped sponsor the event, as part of the Institute of Trauma and Injury Management’s ongoing program of prevention. In addition, 18 ACI staff volunteered their time to assist with ushering and student security throughout the three days. The organisers thanked the volunteers who helped the event run smoothly. Through a competitive process, the ACI Intellectual Disability Network awarded bursaries for three medical specialists to attend the Australian Association for Developmental Disability Medicine (AADDM) Conference in September 2018. The network contributed to the training of medical specialists interested in improving healthcare for people with intellectual disability by providing the bursaries to cover registration fees for the conference. Khadijah Shah Idil – psychiatry trainee, SLHD. The attendees will share their experience of the conference, reflecting on the issues that were discussed and their relevance for their training and future careers. Intellectual Disability Network Manager, Tracey Szanto, presented at the conference on how LHDs have taken the challenge of the self-assessment tool. The tool helps healthcare providers identify strengths and weaknesses and decide where their efforts will make the most difference to the care they provide to people with intellectual disability. Tracey presented examples of LHD initiatives which have been implemented. Visit the Essentials webpage to access the self-assessment tool and other resources for improving health services to people with intellectual disability in NSW. Bursary recipients Sinthu Vivekanandarajah, Roua Jabir, Khadijah Shah Idil, with Jacki Small and Tracey Szanto at the AADDM Conference. Photo: M Heaton. Bronchiolitis will be one of the initiatives for Tranche Two of the Leading Better Value Care (LBVC) program. Bronchiolitis is a self-limiting viral infection, often requiring no treatment. Infants less than one year old account for more than 75% of all bronchiolitis presentations to emergency departments (EDs) in NSW. Half of these infants are subsequently admitted to wards, with approximately 1% admitted to critical care units. Presentations rise from March and peak in July. There is variation in clinical care for those infants who do present to hospital. The ACI has formed a clinical reference group chaired by the NSW Chief Paediatrician, Dr Matthew O’Meara, to guide the work. undertaking audit and feedback cycles in early adopter sites. This is the first LBVC project involving ED and paediatric wards. The early adopter sites for the project are: Sydney Children’s Hospitals Network, Wagga Wagga Hospital, Manning Hospital, Tamworth Hospital, Bega Health Service and Hornsby Ku-ring-gai Hospital. The Regional Paediatrics NSW (RPNSW) Conference held in Port Macquarie from 23-25 August brought together paediatricians, nurses and allied health clinicians from across NSW to discuss a range of issues including emergencies, innovative new practices and mental health. The ACI provided funding support for the conference which had approximately 70 attendees. RPNSW aims to help clinicians deliver safe, accessible, reliable and effective healthcare to children in regional and rural NSW. The annual conference provides a forum for sharing knowledge, experience, challenges and solutions through presentations, discussions and networking with colleagues. This year patient stories were also presented throughout the event. The learnings included innovation in facial recognition assisting in diagnosis of children with developmental and intellectual disabilities, and how to manage the challenging issue of access to mental health services for paediatric patients. Presentations from this conference will be shared on the Basecamp site for RPNSW for those who were unable to attend the conference. Contact Mary Crum, Paediatric Network Manager for more information. Left to right sitting: Sandra Babekuhl, Mary Crum, Rhonda Winskill, Helen Stevens, Matt O’Meara. Left to right standing: Allan Kerrigan, Jackie Andrews. Photo: T Szanto. A new Patient Reported Measures (PRMs) IT solution was announced by Elizabeth Koff, Secretary of NSW Health in early September. The new solution will support the implementation of the IT system and use of PRMs more broadly. Funding for ongoing PRMs Project Officers across the state was also announced. The IT solution is a fundamental enabler for a more consistent and coordinated approach to understanding patient outcomes and experiences of care. It will provide significant opportunities to improve clinical practice and quality of life, as well as identify areas of excellence and drive system-wide improvements. The IT solution will be rolled out in a phased approach and will initially be implemented in the Leading Better Value Care and the NSW Integrated Care programs. This builds on the existing PRMs work. The IT infrastructure and technology is being designed to support additional PRMs tools in the future. While initially the IT solution will stand alone (replacing the existing systems, including REDCap), it will be integrated into Cerner electronic medical record and patient administration systems as well as general practice desktop software in the following phases. This will be a critical component of achieving truly integrated, patient-centred, value-based healthcare across the state. Visit the PRMs webpage for more information. We are pleased to announce the 2019 Patient Experience Symposium (PExS2019) will be held at the International Convention Centre (ICC Sydney) on Monday 29 and Tuesday 30 April 2019. PExS2019 will showcase expert evidence, local and international examples, consumer stories, and will be an opportunity for consumers and health staff to share local innovations that are improving patient experience and outcomes. We hope you can join us at the 2019 symposium which promises to be the best one yet! Abstract submissions are now open for the symposium. Abstracts co-authored by NSW Health staff and consumers are strongly encouraged. Please forward the call for abstracts to people in your networks who may be interested in submitting an abstract for consideration. Visit the website for more information on the abstract requirements. PExS2019 is a collaboration between the Clinical Excellence Commission, Agency for Clinical Innovation, Bureau of Health Information, Cancer Institute NSW, eHealth NSW, Health Education and Training Institute, HealthShare NSW, NSW Health Pathology and System Purchasing Branch. Registrations for the symposium will open in January 2019. Following a competitive application process, the ACI has endorsed Peter Hawkins from Northern Sydney LHD to the Western Sydney University Clinical Research Fellowship Program (CRFP). Translational Health Research Institute at Western Sydney University offered ACI a program position to a nominated ACI network member. The program is completed over two years and is aimed at supporting clinicians in NSW to build their research skills and capacity through practical training and applied knowledge. Peter is a proud Wiradjuri man and has a background in social work. He is currently the lead project officer in a quality improvement project at Royal North Shore Hospital, assessing and reviewing the perceived treatment experiences of Aboriginal and Torres Strait Islander patients admitted to the Severe Burns Injury Unit. The project aims to improve service delivery in line with current Ministry of Health and Northern Sydney LHD Aboriginal Health Guidelines. Through the CRFP, Peter hopes to develop this quality improvement project into a research proposal and further develop research on the nature of resilience and spirituality as contributing factors to a patient’s journey of recovery. The CRFP is expanding with this being the second iteration of the program. An impressive 32 applications were received. The projects were co-reviewed with ACI research delegates and Western Sydney University Chief Operating Officer. The quality, passion and capabilities of the applicants were exemplary. The research topics were relevant and reflected important service delivery questions within allied health professions. Each year the Rural Health Network awards innovative projects in each rural local health district (LHD) through annual LHD awards. This year, many impressive entries were received. The Network awarded projects that were innovative with the use of existing resources, and projects that demonstrated an improved experience for vulnerable populations. Below is a list of the 2018 ACI Innovation Award winners from each LHD. Congratulations to all those involved in these innovative projects! A standardised decision making tool was developed (poster, flowchart and matrix) which helped Lismore hospital staff select appropriate pressure injury prevention equipment for individual patients and reduced hospital acquired pressure areas by 55%; potentially saving the LHD $30,000 across the Richmond and Clarence clusters. Lateral thinking was used to reconfigure workflow, staggering nurse start times to make treatment days longer, and introducing daily co-ordination huddles to match skill mix with patient acuity which decreased wait times and streamlined throughput at Coffs Harbour. Hunter New England Local Health District (HNELHD) provided iPads to police and ambulance staff, so they can access mental health triage and support for consumers at the scene of the emergency, reducing unnecessary anxiety and patient transport to a larger centre. Services were reconfigured to replace the traditional hub and spoke allied health service provision model to progressively embed new virtual teams into multipurpose services using telehealth as business as usual. 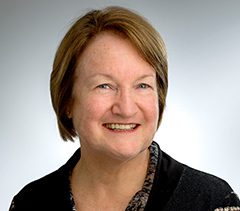 Using robust research methodology, Gale developed and implemented numerous resources to standardise inclusion of routine haematological, cardiac and metabolic assessments for mental health patients as well as providing education across MLHD, including community pharmacists, prescribing GPs and aged care facilities. As an individual award, Gale will spend two days at ACI shadowing relevant networks and team members to enhance her work within MLHD. This project challenged traditional practices and adopted a service redesign approach at Broken Hill to fast track patients based on positive occult blood test and ranking referrals based on symptoms. This patient-centred project used audio-visual technology to supervise treatment administration negating the need for patients to waste time on travel. Using co-design methodology with patients and staff, a risk assessment checklist was developed to enable electronic devices to be used by patients in Queanbeyan mental health inpatient units. This project used service redesign to move clozapine care into mainstream health by bringing the GP into the picture, decreasing reliance on clozapine clinics and allowing rural mental health patients to be managed holistically closer to home. The successful placement of a Registered Nurse as a community based student mid-wife into Bourke Multipurpose Service, a non-birthing facility achieved results such as 70% of women breastfeeding on discharge, increased smoking cessation and 90% of women accessing anti-natal treatment at 14 weeks. This grow our own strategy saw the student midwife graduate through partnerships with Charles Sturt University, the Nursing and Midwifery Office and the LHD and is the first of its kind in NSW. The winning team receive a grant of $2,000 to enhance sustainability. Joint transition clinics between paediatric and adult health teams are increasingly being developed throughout Australia. They aim to smooth the patient’s transition process and improve communication by facilitating early interaction between paediatric and adult teams. Joint clinics are not a new concept, however in NSW they have traditionally focused on a few specific conditions such as cystic fibrosis and diabetes. With the development of the new Adolescent and Young Adult (AYA) Service at Bright Alliance in Randwick, new joint clinics have started and more are planned. A recent example is the inflammatory bowel disease (IBD) clinic. Held once per month, the clinic includes members of the Sydney Children’s Hospital Randwick IBD team, Nicole Simpson from the transition services of Trapeze, the ACI Transition Coordinator Silvana Techera and one of the seven adult IBD teams that participate. These include teams from Prince of Wales, St George, Royal Prince Alfred, Royal North Shore, Wollongong, Liverpool, and St Vincent’s hospitals. The new AYA Service being developed at Westmead Hospital is also planning joint transition clinics. The ACI Transition Coordinator Western Area, Louise Charlton, is part of the Project Users Group and already attends transition clinics with the rehabilitation and AYA teams. In the Hunter region, Transition Care Coordinator Angie Myles supports the joint clinic for Adolescent Young Adult Rheumatological Disease and clinics for cystic fibrosis and spina bifida. Rehabilitation medicine transition clinics are planned for late 2018. The opportunity for patients to meet their new adult teams with their paediatric teams present, helps ensure key information is communicated and helps alleviate some of the apprehension about moving. Adult services have also reported a change in the young people, their families and carers. They are more at ease when they see a familiar face at their first appointment in the adult service. Efforts are underway to standardise in-hospital emergency numbers in NSW. There are currently more than 50 different hospital emergency numbers, which are part of a wider set of emergency codes (including facility alerts, security alerts and medical alerts). Hospitals have call notification systems, which may be set up to send emergency notifications to staff. The number usually corresponds to a colour code system and a set of plain language emergency codes, such as a ‘code blue’. Doctors called on state and federal governments to support transition to a single number, to reduce staff confusion and delays, ultimately saving lives. eHealth NSW has established a project steering committee to support the transition, with a plan to establish the new standardised in-hospital emergency number by December 2018. Previous site-specific emergency numbers will coexist for a period of time and there will be clear in-hospital communication in each LHD about the technical change. Each hospital will be updating flip charts, signs and documentation to reflect the new emergency number. Please visit our Events Calendar for program details and information on how to register.